It started in Italy with marble chips embedded in concrete floors. Fast forward 500 years and Terrazzo has evolved to include benchtops, splashbacks and vanities finished in concrete featuring chips of marble, quartz, granite, glass and even semi-precious stones. Caesarstone is one of the companies leading the charge in contemporary terrazzo and winning the hearts of interior designers and homeowners along the way. The huge appeal of terrazzo is its versatility and sheer breadth of visual attraction for floors, walls, benchtops and vanities. 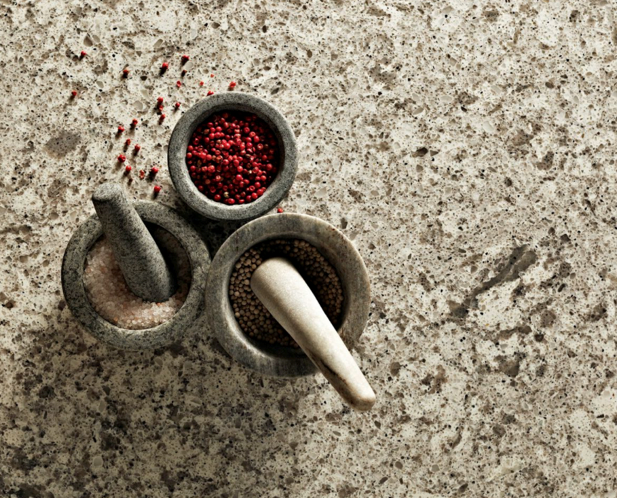 Caesarstone, known for its creative, innovative quartz surface finishes has several terrazzo designs that cleverly meld a very contemporary sophistication with an industrial textural aesthetic, tapping into our ever-growing love for artisanal decorative surfaces. Frozen Terra features a robust concrete fused with translucent aggregate sparsely embellished with fine black basalt. It highlights Caesarstone’s take on industrial chic and is available in a honed concrete finish. The brand’s Atlantic Salt is a more intricate, sculpted design featuring a combination of white, taupe, grey and black in an abstract pattern that echoes the natural structure of aged granites weathered by the ocean. The white accents within Atlantic Salt work well with pared back colour palettes and minimalist decorative elements. And for the clean, structured interior – kitchen or bathroom – Caesarstone’s Nougat, made up of coarse grained and chunky neutral colour quartz chips on a white background, is the perfect option. 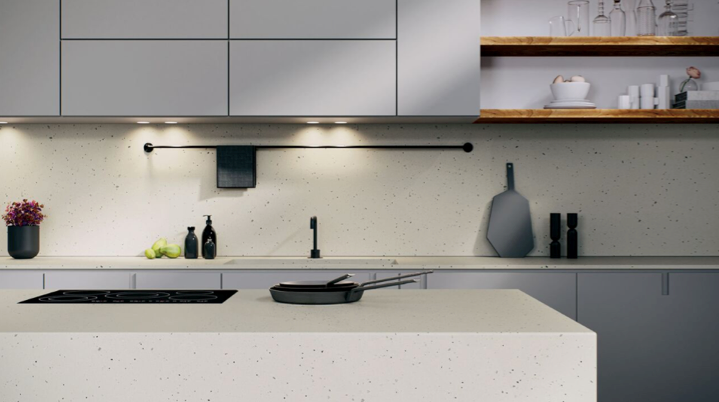 Caesarstone’s choice of textured terrazzo quartz surfaces has endless application possibilities in terms of kitchen bench tops, bathroom vanities, bath surrounds and furniture plus commercial applications. While the visual effect of Caesarstone quartz surfaces is one of beauty and tactile richness, its inherent qualities are strength, longevity and durability. 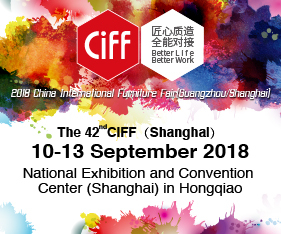 It is a material designed to enhance both residential and commercial interiors while retaining its sublime good looks for a lifetime and more. 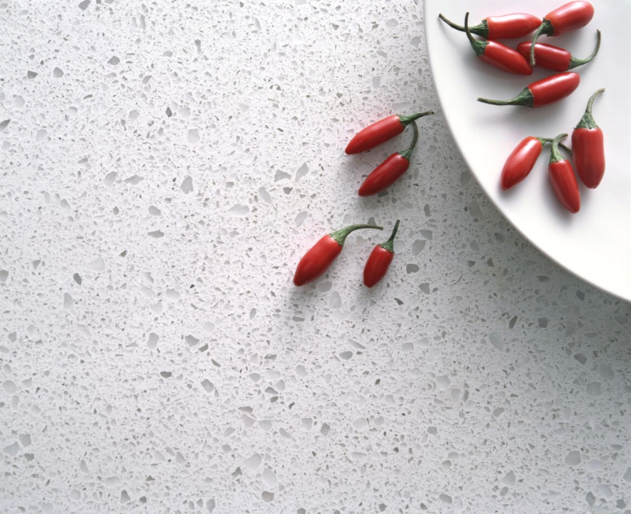 Caesarstone quartz surfaces are available nationally. Go to www.caesarstone.com.au for more details.